2017 marks the 800th anniversary of the Charter of the Forest, the scarcely-known companion to the Magna Carta, issued on November 6, 1217. Unlike the Magna Carta, which dealt with the rights of barons, the Charter of the Forest addressed the rights of the common man. It restricted the amount of land that the king could claim for private use and restored the right of common access to natural resources. With current day controversies over the use of public lands, the Charter of the Forest endures not only in its historical significance but in its relevance to environmental law and longstanding restraints against tyranny. Historians have always known the Charter of the Forest existed but many of its terms—for example estovers, or subsistence wood products—seem strange and archaic, and have prevented the general public from recognizing its existence and understanding its importance. The message of the two charters and the message of this book is plain: political and legal rights can exist only on an economic foundation. To be free citizens we must also be equal producers and consumers. What I shall call the commons—the theory that vests all property in the community and organizes labor for the common benefit of all— must exist in both juridical forms and day-to-day material reality. . . . If Magna Carta is to be recovered in its fullness, we must bring with it all that can be obtained from these interpretations. The first one calls for the abolition of the commodity form of wealth that blocks the way to commoning. The second one gives us protection from intrusions by privatizers, autocrats, and militarists. The third one warns us against false idols. The fourth renews the right of resistance. Called a “lyrical and necessary book on liberty” (The Nation), The Magna Carta Manifesto shows how the rights of habeas corpus, trial by jury and due process of law, and the prohibition of torture are being abridged. 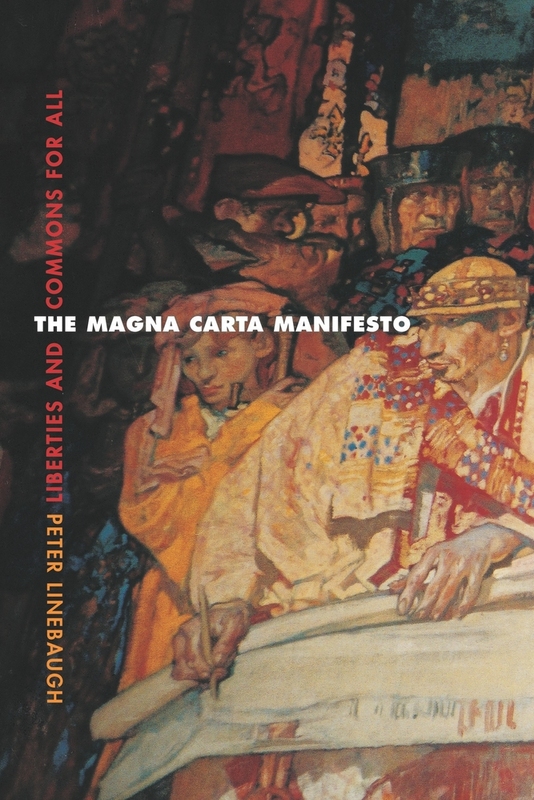 In providing a sweeping history of Magna Carta, this powerful book demonstrates how these rights are repeatedly laid aside when the greed of privatization, the lust for power, and the ambition of empire seize a state. Read the full introduction here. To celebrate the anniversary, Peter Linebaugh will be speaking at a number of events in London, including a free and public event November 5, 800 Years of the Charter of the Forest 1217 – 2017: Why Fracking Matters, Sherwood Forest.